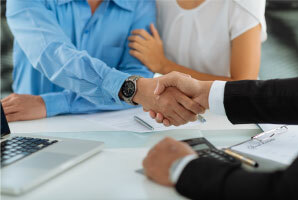 Did you know the real estate settlement process begins long before you sit down at the table for settlement? Purchasing a home or any piece of real estate, for that matter, is a big investment, and settlement is the culmination of all of the fact-finding, negotiations and financing. At Front Door Title, our job is to perform a thorough title search (called a title abstract), resolve any issues, arrange for a survey if needed, issue title insurance, coordinate all of the documents for closing, and record your deed at the courthouse. Our work starts almost immediately after you sign the purchase contract. In the state of Maryland, real estate closing or consummation, as it is commonly known, is frequently conducted at a title company’s office. 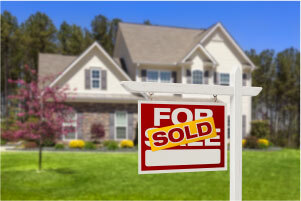 The buyer is entitled to select the title company who will conduct the closing. Front Door Title works with real estate agents, buyers, sellers and lenders throughout Maryland, particularly in Baltimore and surrounding counties. The point person with Front Door Title who conducts the closing, and disburses funds is the settlement officer, but the entire FDT team works on the file beginning to end. Front Door Title can receive a “title order” from anyone involved, but typically from the real estate agent, loan officer, purchaser, or a refinancing owner. We order a search of public records, a location survey (if required), payoff statements from the sellers’ current mortgage company, tax and water information. All this to ensure that the clear, insurable title to the property can be passed from seller to buyer. At the established time and date set for the closing the settlement officer meets with the parties involved, to secure signatures, explain documents, and collect and disburse funds. Generally, the actual real estate settlement involves the closing agent explaining the various documents, and gathering the required signatures, which takes approximately one hour. In some cases, there may be subsequent adjustments to the HUD- 1 Settlement Statement or other documentation that will require a longer closing time. 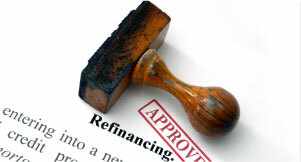 At the time of closing or shortly thereafter, the lender will remit funds to the closing agent’s escrow account for disbursement.